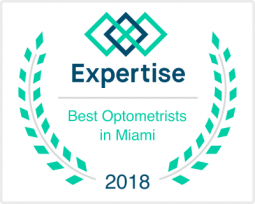 At Weston Contact Lens Institute, located in Weston FL, our drive comes from a desire to provide our patients with the most advanced and best designed contact lenses. Too often, patients with corneal irregularities struggle to find contact lenses that fit comfortably or provide optimal visual improvement. Our Weston Optometrists – Dr. Elise Kramer and Dr. Stacy Zubkousky use their extensive experience and expertise to customize and fit lenses that are perfectly suited to the patient’s unique eye shape. Ocular conditions such as keratoconus, myopia, hyperopia, and dry eye—as well as corneal damage due to trauma or surgery—can rarely be treated effectively with standard contact lenses. At Weston Contact Lens Institute, we offer the type of specialty lens design that can deliver noticeable improvements in both vision and comfort for patients with any condition. Specifically, we focus on scleral lenses, large diameter gas permeable contact lenses that sit on the sclera (the white part of the eye) rather than on the cornea itself. The lenses then vault over the cornea, leaving a chamber of tears between the eye and the lens. Weston Contact Lens Institute is a noted source for quality in the scleral lens community. 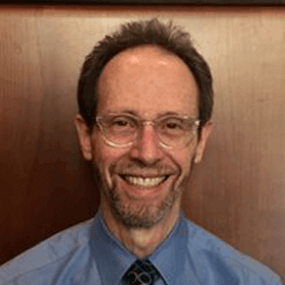 Not only are eye doctors Kramer and Zubkousky markedly skilled in fitting scleral lenses, but they also dedicate themselves to providing the highest quality patient care. By using the finest materials, the best equipment, and the most advanced software, we can address the needs of our patients more effectively and design lenses that to achieve superior results. 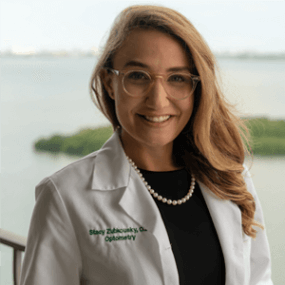 A top priority for our Broward County, Florida Optometry practice is restoring the vision, comfort and the peace of mind of our patients in the least invasive or stressful way possible. We believe that we can deliver successful results for our patients without resorting to surgical means. Many of our patients come to us for this specific reason: they want to improve their vision (and by extension, their quality of life) but they have reservations about surgical methods. Some of them even come to us because of post-surgical corneal damage. Our emphasis on non-surgical vision improvement appeals to these patients. Just like surgery, the design and fitting of specialty contact lenses is a challenging practice that requires precision, innovation, and attention to detail. At Weston Contact Lens Institute, our eye doctors have gone through the rigorous specialized training and experience necessary to provide this high-level service. 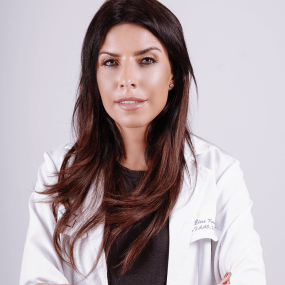 Patients from all around the world have been referred to our practitioners for treatment, simply because we are specialized in fitting and designing contact lenses and have what it takes to achieve results. In addition to specialty contact lens fitting our practice also offers a spectrum of primary eye care services. From standard contact lenses to routine vision checkups for children and adults alike, we can help you monitor your vision health over time. Call us today to schedule your first appointment.